Now THIS is a great way to travel with fragrance! No worries about spills, drips, staining or even your friendly TSA when flying - this perfume is in a clear pencil format. The set contains 3 jumbo mark Cosmetics Fragrance Pencils pencils in mark scents: Celebrate (my personal favorite) - a bright, sparkling scent with citrus petals, mirabelle plum and osmanthus flower, Jewel a sweeter, soft scent with Casablanca lily, macchiato flower, vanilla and caramel, and Very Sassy - a sweet and slightly spicy mix with black currant, floral yellow jasmine earthy musk. I usually "swiped" the pencil 1-2 times a day on my pulse points like my wrists and neck, and it had very good staying power throughout the day. 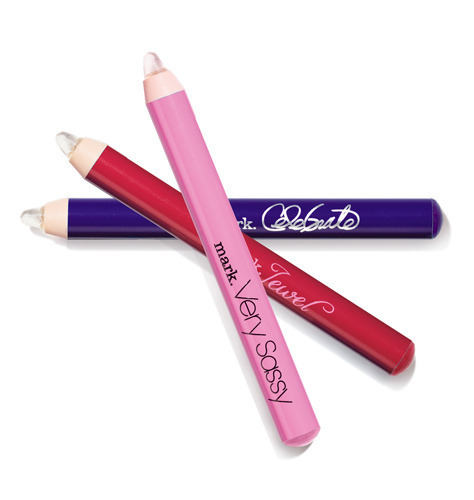 Tip - if you moisturize well before applying, the pencil's fragrance will adhere to the skin better and last longer!